Three of the most common words associated with a lack of assurance are Worry, Worth, and Works. Three words found in our text provide the basis for our assurance. I. 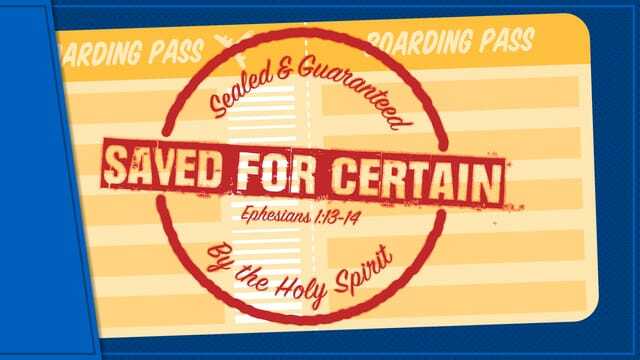 The Testimony of our assurance. A. Our star witness is God Himself. B. His testimony coincides with heaven's records. II. The Test of our assurance. A. The measuring stick is Christ alone. B. The surrendering of one's will is required. III. The Treasure of our assurance. A. It is not based on feelings or experiences. B. It is based on faith in the facts. » ”Written" —This addresses the authority of scripture. » "Believe" — This addresses the supremacy of Christ. » "Know" — This addresses the certainty of assurance. "Feeling come and feelings go and feelings are deceiving. I'd rather trust the Word of God and just keep on believing!"